Could Technology make Humans Redundant? Could technology really make humans redundant? If you’ve seen The Terminator, The Matrix or Transcendence, you’ll know it’s only a matter of time before the machines turn on their human creators and take over the world. OK, whilst this may not be entirely true, the rise in artificial intelligence has got some of the world’s leading minds a little worried, especially as advances in technology and AI show no sign of slowing down. In the world of business, technological innovation has long been making its precence felt, with machines taking over a variety of roles from humans over the past decades. With technology becoming ever more human-like and complex, is there a chance that artificial intelligence could really take over from humans, putting us many of us out of our jobs and leaving humans having to barely lift a finger? When Apple first introduced their built in virtual PA, Siri, it revolutionised the way that we interacted with our phones. Over the years, Siri has become more complex and more capable, increasing the number of tasks she can accomplish all by herself. From posting to Twitter and making restaurant reservations to reminding you about birthdays, appointments and other special occasions, Siri can now do almost anything a real PA can do, apart from make you a nice cup of tea that is. The rise in contactless payment technology, online banking and digital currency is already making purchases, international money transfers and payments quicker and easier. In the long run, this could mean that we no longer need to carry cash at all, something that could put cashiers, shopkeepers and bank clerks out of a job. Sci-fi fans and technology companies around the world have long dreamt of creating cyborgs. Part human, part machine, cyborgs will help people to overcome their weaknesses and become more powerful, enabling humans to conquer their physical limitations and achieve the impossible. 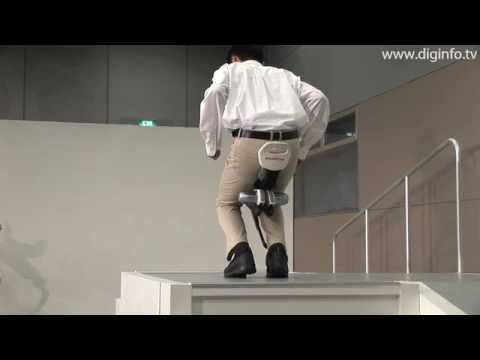 In recent years, Honda has developed a pair of cyborg legs that do just that. Designed to help people with reduced mobility to get around and to help factory workers who have to stand, kneel or crouch all day, these innovative appendages are already having an impact in the real world. Though cyborgs that help people with disabilities to lead more mobile lives can’t be a bad thing, some businesses are also trying to create human like robots that can perform certain specific tasks without the help of an operator or wearer. Designed to be butlers, entertainers and factory workers, these cyborgs really could put effect the workplace world-over. Though the rise of the machines may be inevitable, in the mean time there’s no reason why you can’t have a high tech website made by the technologically talented hands of us humans. To find out more, get in touch with the team at clockwork Moggy.